There is not much more satisfying than visiting a local farm, picking your own produce and making something delicious out of your findings! This is a great activity for kids as they love to get involved picking and baking. Click on the names of the farms below for more information. Always call ahead when visiting a farm to see if they are open and to see what is currently available/in season! Green Door Gourmet - Facebook page here - Nashville, TN. 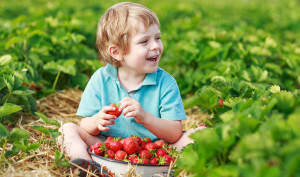 "Pick Your Own Strawberries" is available every Thursday and Friday 10am-2pm, Sat 9-3pm, and Sun noon-3pm. Phone: (615) 942-7169. Batey Farms- their Facebook is available here with updates - Murfreesboro, TN. Phone: (615) 848-4178.